The United States Mint has four new products scheduled to debut this week. Included in these new issues are the 2014 America the Beautiful Quarters Uncirculated Coin Set™, the proof and uncirculated 2014 Florence Harding First Spouse Gold Coins and the 2014 Herbert Hoover $1 Coin Cover. These coins represent national sites in Tennessee, Virginia, Utah, Colorado and Florida. 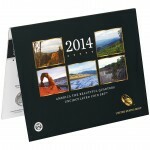 The ten coins of the set are attached to a durable display folder. 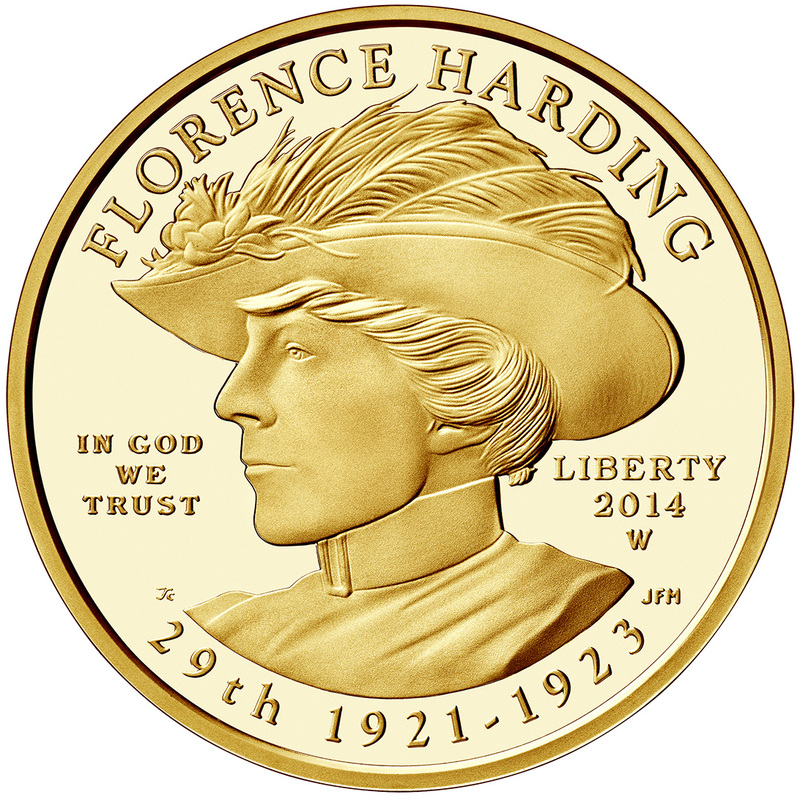 Proof and uncirculated First Spouse Gold Coins honoring Florence Harding will be issued on July 10, 2014. 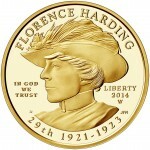 These coins feature an obverse portrait of Florence, wife of Warren G. Harding the 29th President of the United States. The reverse showcases a seen from her life. Each is struck from one-half ounce of 99.99% pure gold. Pricing will be determined on Wednesday, July 9th with that pricing subject to change based on market conditions. 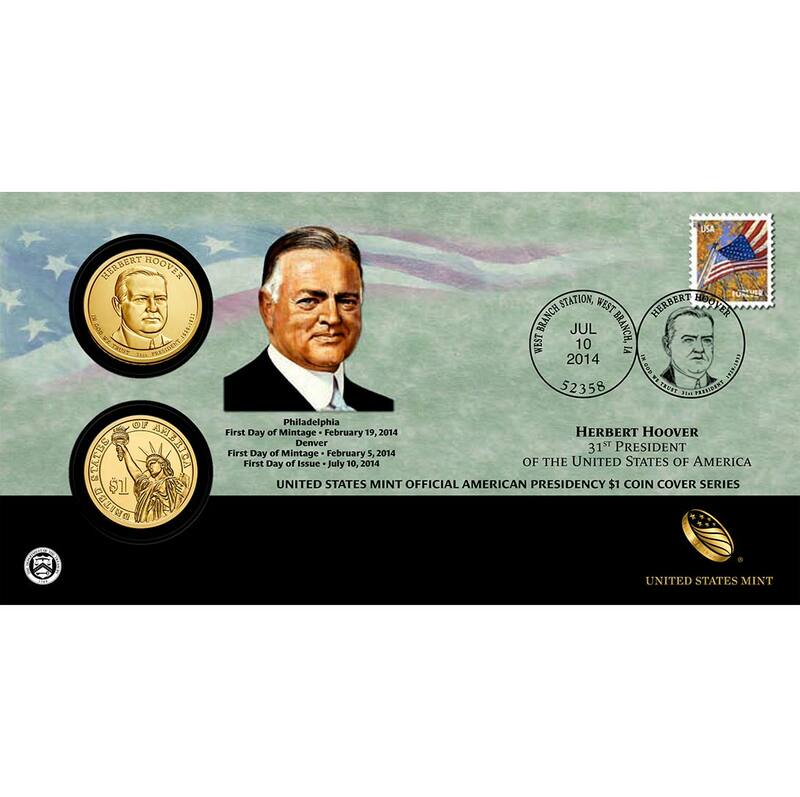 The 2014 Herbert Hoover $1 Coin Cover will also be issued on July 10th. 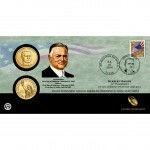 It contains two circulation quality Herbert Hoover $1 Coins from their first day of production. One is from the U.S. Mint's facility in Philadelphia with the other from the U.S. Mint's facility in Denver. Both coins are attached to a display card and found inside an envelope with a Flag for all Seasons stamp. The stamp features a postmark of July 10, 2014, West Branch, IA. Mint. All of these products, when released, may be ordered directly from the United States Mint via its website of www.usmint.gov, or by calling 1-800-USA-MINT (872-6468).